Woodland Water - Driveways/Patios/Paths, Landscaper based in Ripley, Surrey. Woodland Water cover all aspects of Hard Landscaping, Garden Design, Fishery - Waterways and Estate management, Lake and Koi Pond construction. 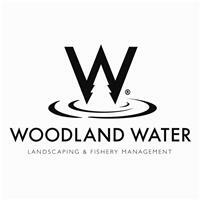 Woodland Water is a company founded by Dave Wood, who has a passion and personal interest in landscape construction, garden design and fishery management. This passion is passed down to the work that Woodland Water does for its customers. Please get in touch for a free advise visit and non-obligatory quote from Dave Wood the MD.